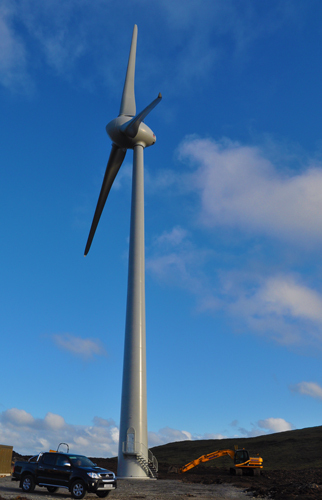 Rousay, Egilsay and Wyre Development Trust is advertising for two 'Turbine Responders' for its new Community Wind Turbine. With the 900kW turbine now complete, and expected to start generating electricity soon, Turbine Responders are required to respond to any faults or issues which may arise with the turbine. Qualifications for 'Manual Handling' and 'Working at Heights' would be an advantage, although they are not essential. Necessary training will be provided. The successful applicants will work on a 2-week-on/2-week-off rota, earning a retention payment of £60 per week. Additionally, £12.50 per hour will be earnt for 2 hours' 'routine contact time' per week. The call-out rate is £15 per hour, for a minimum of one hour. As out-of-normal office hours work is a requirement for the positions, suitable candidates must be resident on Rousay.